Alright, I'm going to try to finish up my Facebook Marketplace purchase in one last post here. I don't think I'll have any pictures because this is mostly for me anyways. I was at $44 dollars worth previously. So that puts me at $59. I went through and pulled out 9 cards from every set represented so I could put them in a binder. 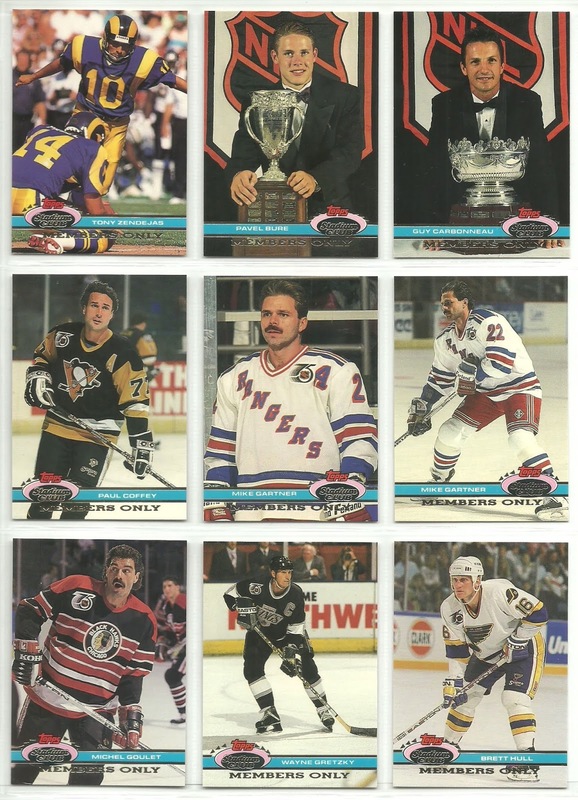 Probably got about 25 different pages; everything from 1986 O-Pee-Chee to 1994 Leaf. I'm going to give each page a $1 value. So that puts me at $84. 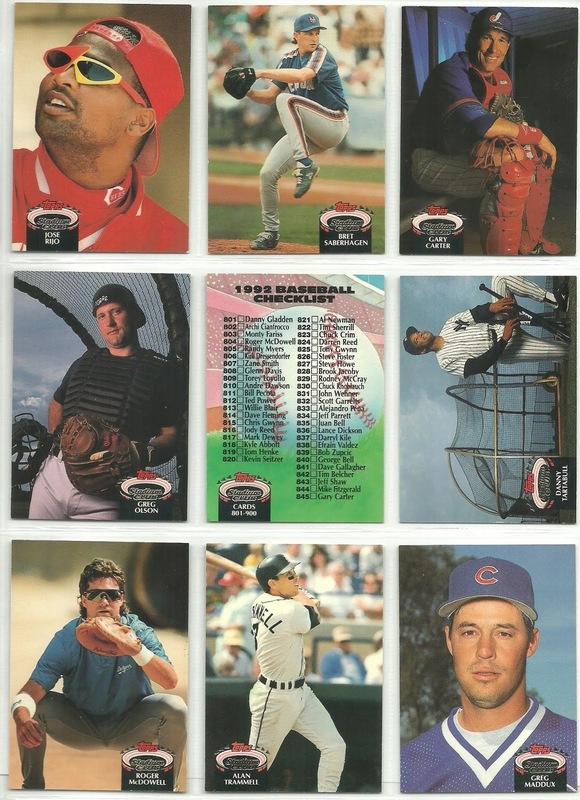 Next I tried giving away all the other cards via Twitter. The guy that I found locally offered me D-Backs bobbleheads in exchange. i told him it wasn't needed, but if he wanted I did need one bobblehead from last year, so he gave me the 2018 Ketel Marte Luchador bobblehead and he even through in a Zach Grenike mini bobblehead that wasn't a stadium giveaway, but was part of a package if you made a donation to the Phoenix Children's Hospital a couple years ago.So I value those two bobbleheads conservatively at $30. My total now is at $114. So for $100 I got $114 worth of value in my opinion between various cards and the two bobbleheads, plus I got 19 factory sealed Topps sets. Not bad. Now, I'll be working on the contest that I mentioned a few weeks ago. I've got the prizes, but I haven't got the contest figured out just yet. I did pick up another prize for the contest recently though. 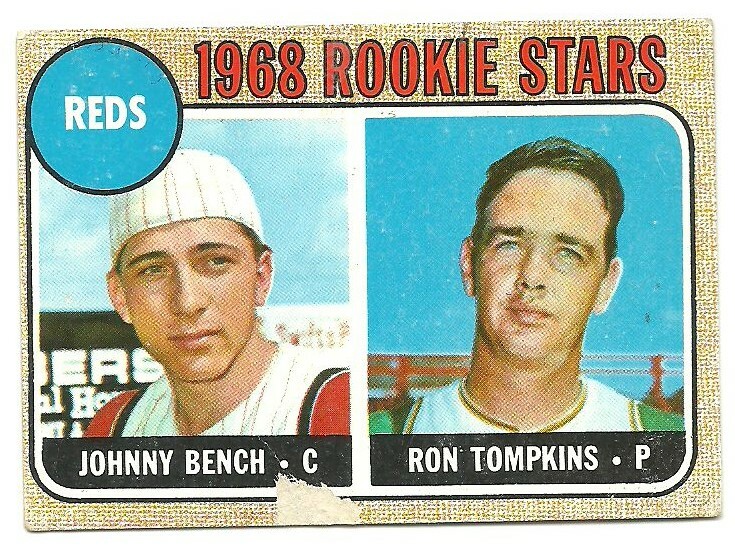 Not sure if anyone would be interested in a Ron Tompkins rookie card. 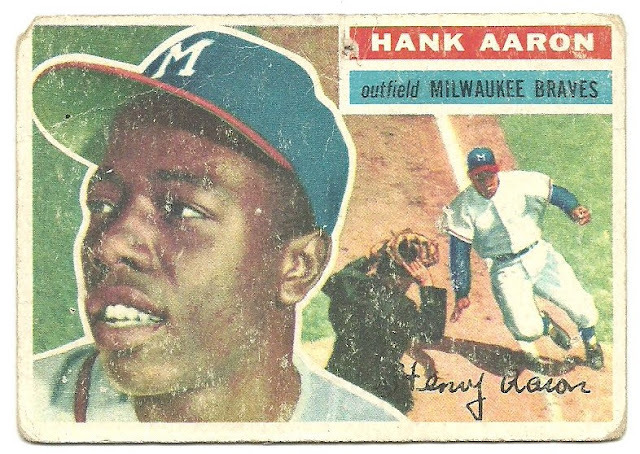 In addition to the Tompkins rookie card, I have the 1956 Hank Aaron and the 1978 Eddie Murray RC. With prizes this big, I might need a while to come up with the contest, so be patient. The collection I purchased recently had a small stack of 1991 Topps Archives cards paying homage to the 1953 Topps set. I happen to be trying to complete this set, so I went through the 24 cards and found two cards I needed for my set. Not going to assign a dollar amount to these because it would be less than $1, but it was still a nice find and hopefully I can complete this set soon. By adding these two cards, I now need just 22 cards to complete the set. if you have any I need, let me know so we can work out a trade. 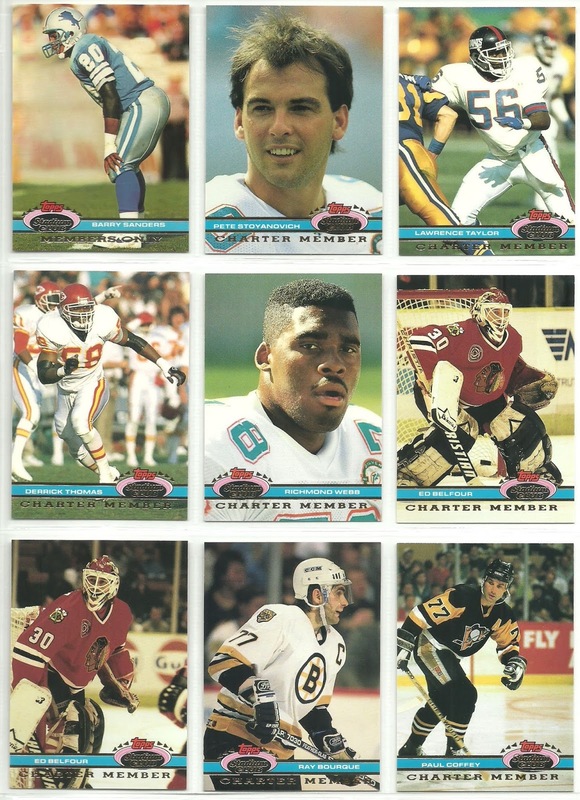 In my opinion, 1992 Stadium Club took a step backwards after a stellar 1991 inaugural set. The 1992 set is nice, it just wasn't as good as the 1991 set, again, in my opinion. The photography was still good, but it wasn't ground breaking anymore. 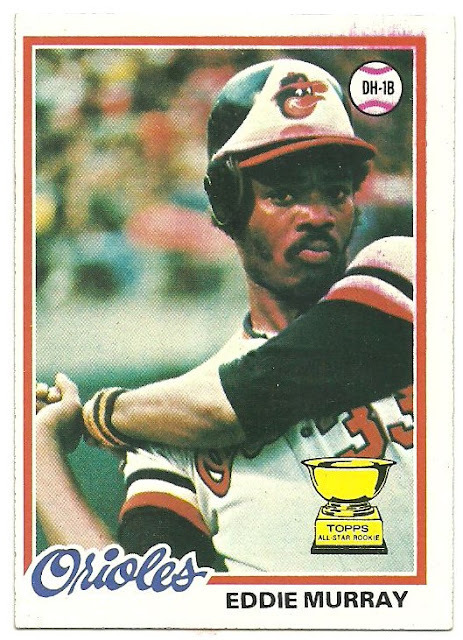 Topps also took the set to the extreme by issuing 3 Series with 300 cards each for the biggest set Topps would ever produce up to that point and for several more years, with a whopping 900 cards. The collection that I purchased off Facebook Marketplace had probably about 350 cards representing all three series. 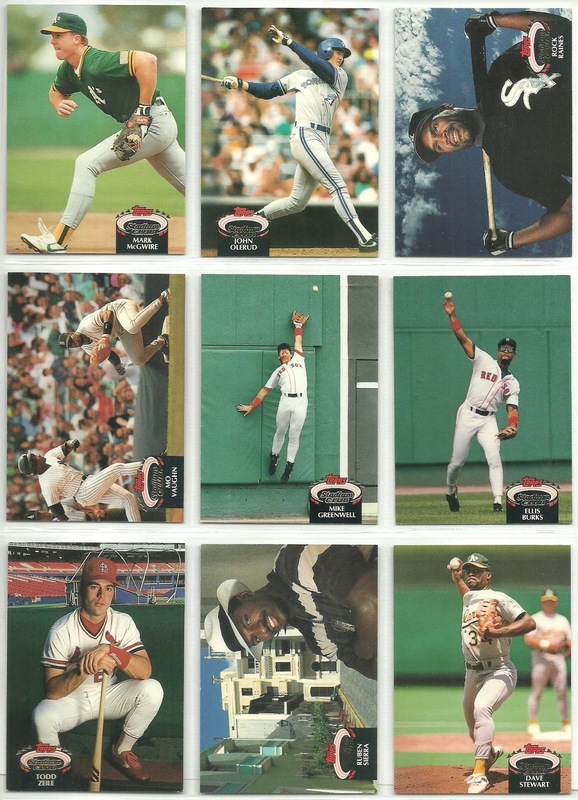 I was able to find 9 cards from each series to fill a page in a binder. I tossed the rest as they had a lot of condition issues. 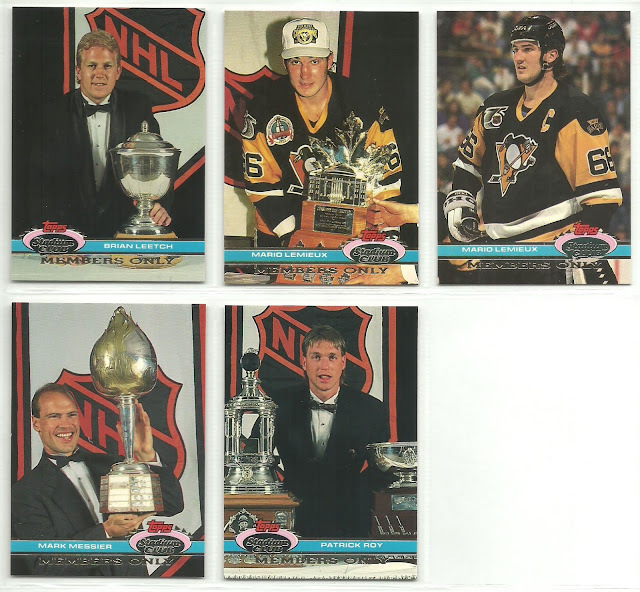 Here are the three pages I saved for my collection, which again I will value at $1 per page, so $3 for this post and $48 so far towards my goal of $100. 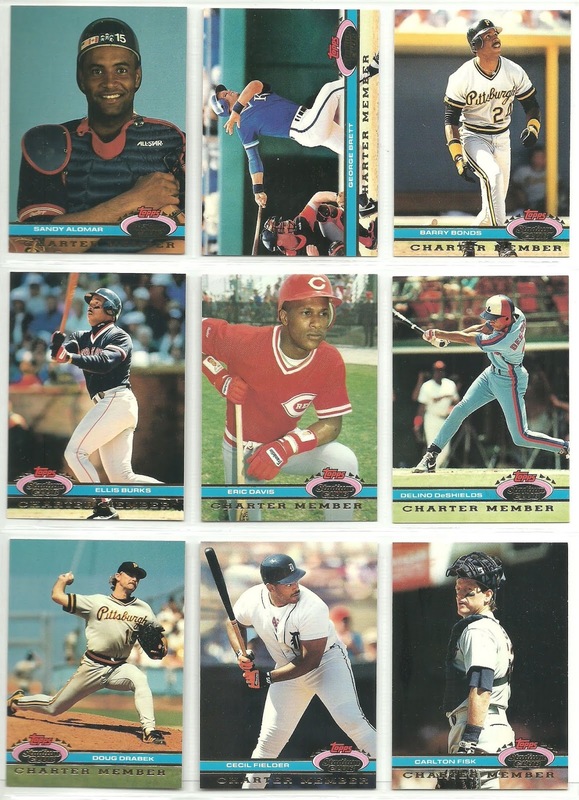 While the guy I bought the collection from appears to have been a member of the Stadium Club in 1991, other than the Charter Member and Members Only cards, he only had 5 pages in a binder filled with Series I from that year. He had two of the more iconic cards though from the set, so that was nice. 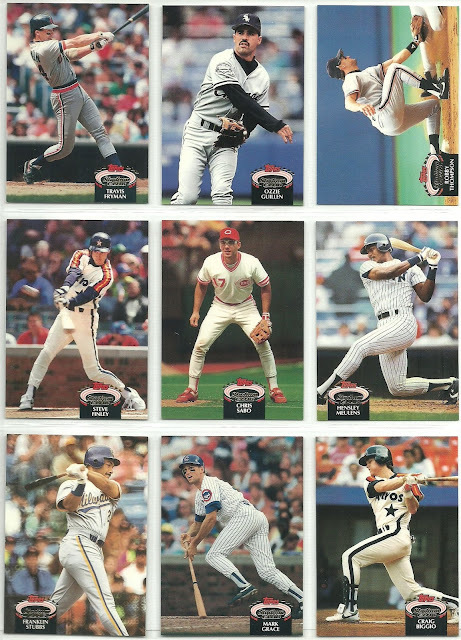 Previously I had selected a binder page from 1991 Stadium Club Series II, so it worked out nicely that all his cards were from Series I.
Stadium Club was revolutionary back in 1991 and I don't remember being able to afford much of it. They were the first borderless cards to my knowledge and the photo quality and gloss were just next level. 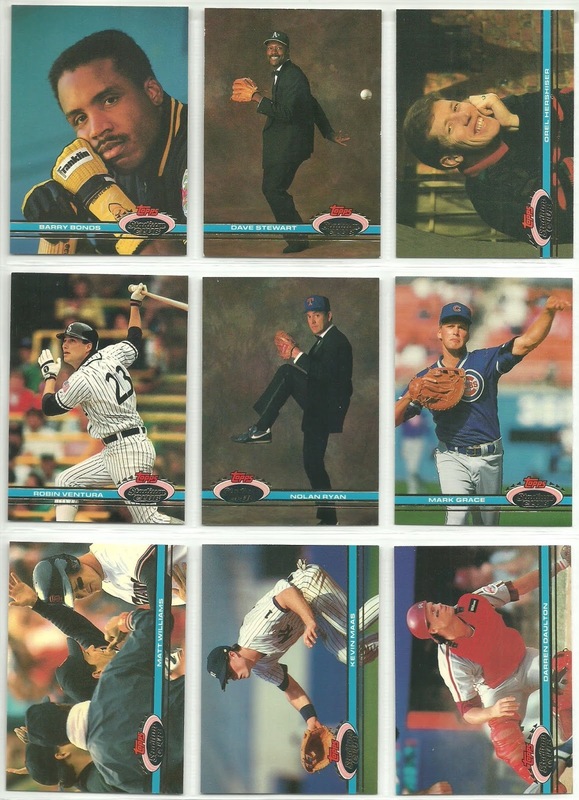 Then they took a couple of photos of two big name pitchers in tuxedos and put it on cards and collectors everywhere went crazy! I remember that card being hard to find and selling for between $5 - $10 easy. 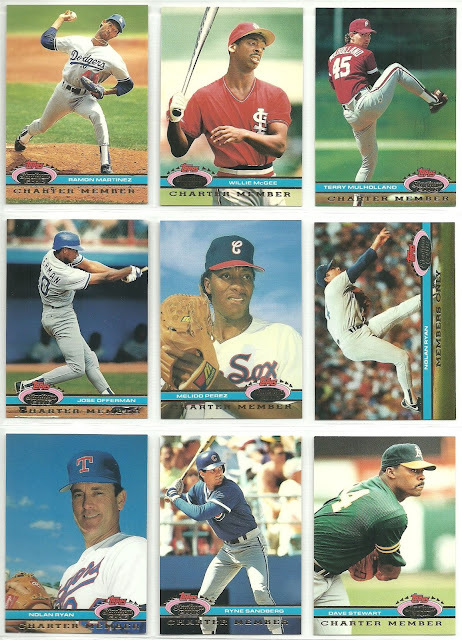 I picked out my 9 favorite and I'm going to assign it a $1 value since I could probably find most of these in a dime box, maybe not the Nolan Ryan, but I'm going to say $1 for the 9 card lot, so that puts me at $45 so far. 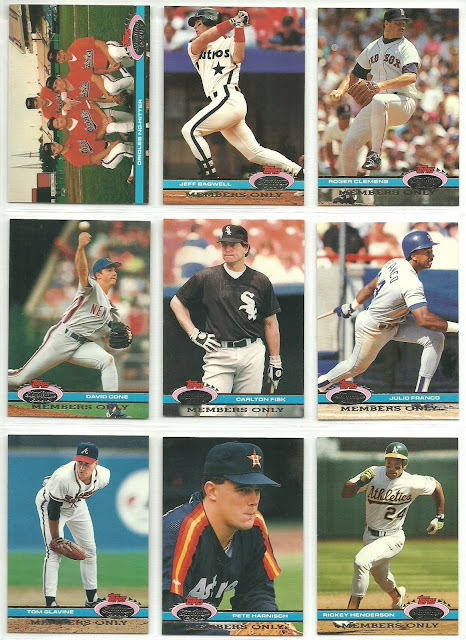 1991 was a good collecting year for the guy that I got the collection from off Facebook Marketplace. 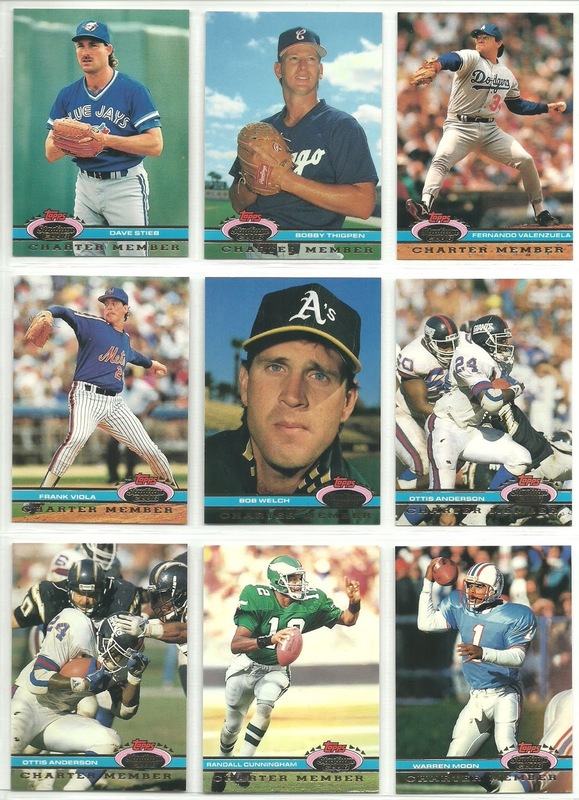 Not only did he have the 1991 Topps Baseball Factory set, a 1991 Topps Traded Baseball Factory set, a 1991 Upper Deck Baseball Factory set, and the 1991 Upper Deck Final Baseball set which I've already mentioned, but he had 1991 Factory sets of Pacific, Upper Deck and Bowman Football and two boxes of 1991 Bowman Football that he just opened and put the cards back in the boxes. 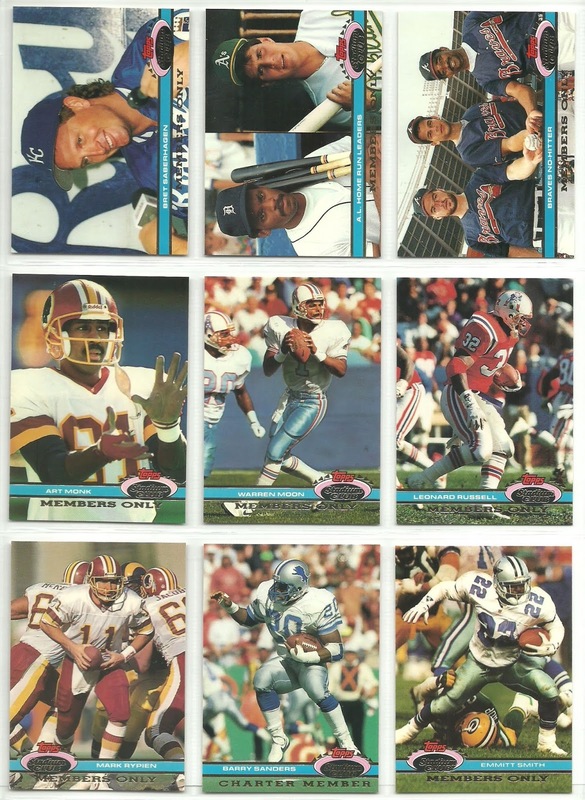 Because I have no interest, for the most part, in football cards at this time, I will probably sell these sets for cheap. I'm going to assign them a value of $10 total for the three sets. 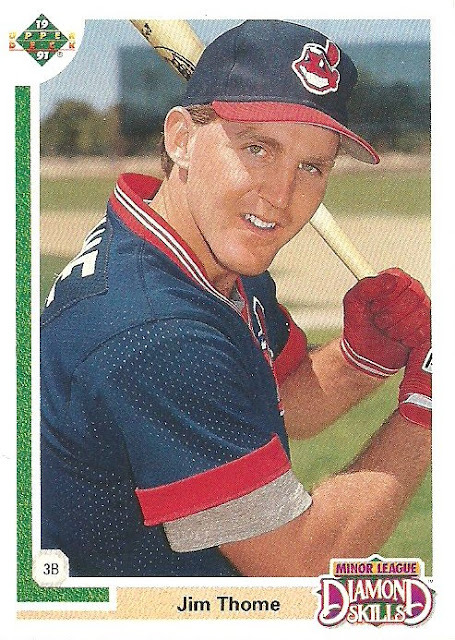 But this guy was not done in 1991 just yet. 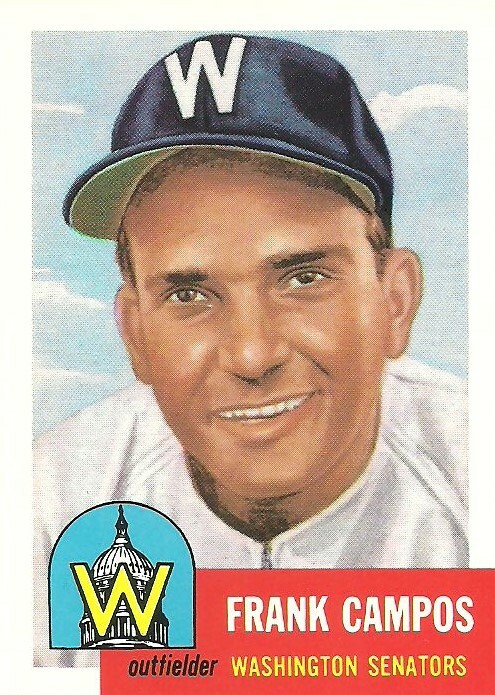 He also became a member of the Stadium Club. 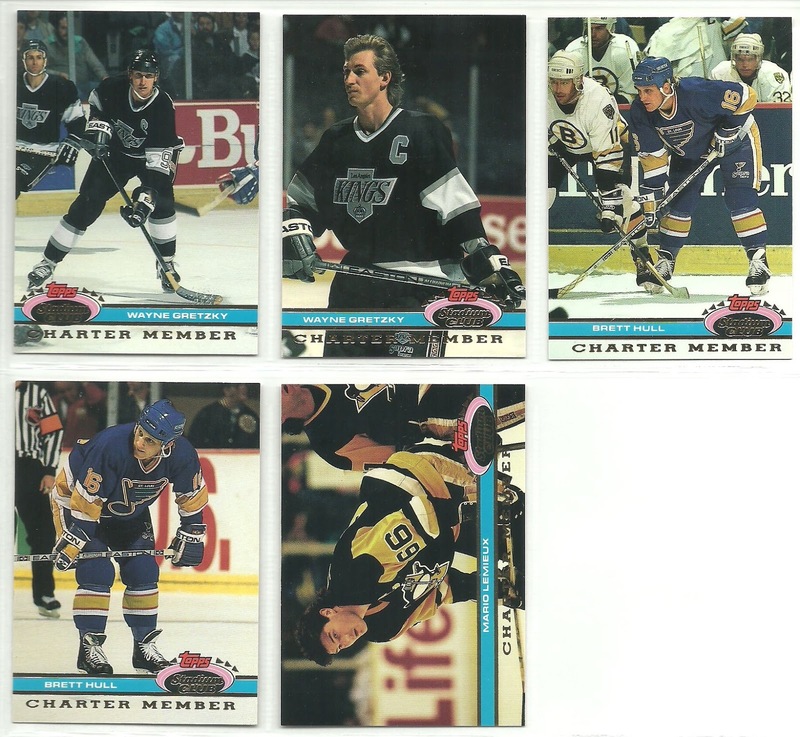 Included in the collection were actually two Charter Member sets. Well...almost two complete sets. 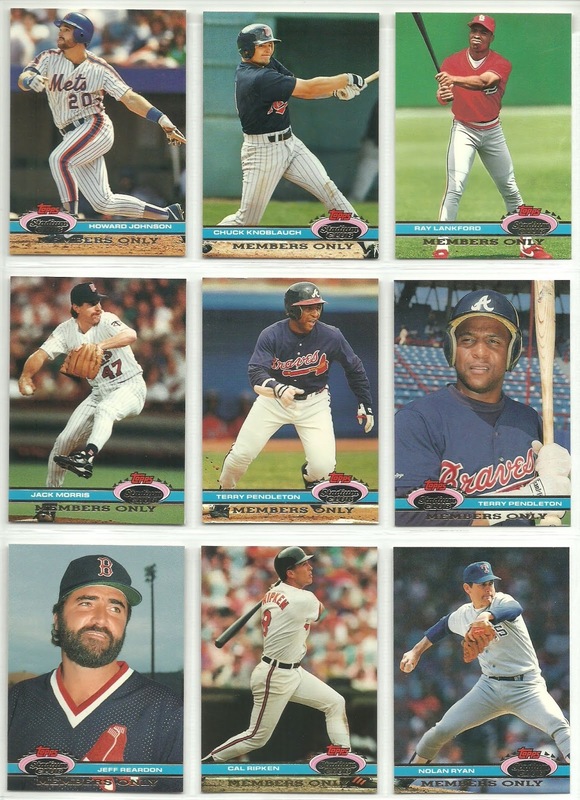 One of them is missing the David Justice card. One of the sets came in the original box with the bronze Nolan Ryan medallion and Stadium Club key chain. Also included in the collection was a complete set of Members Only cards from 1991. Okay, so I was up to $15 previously. This puts me at $44 so far towards the $100. 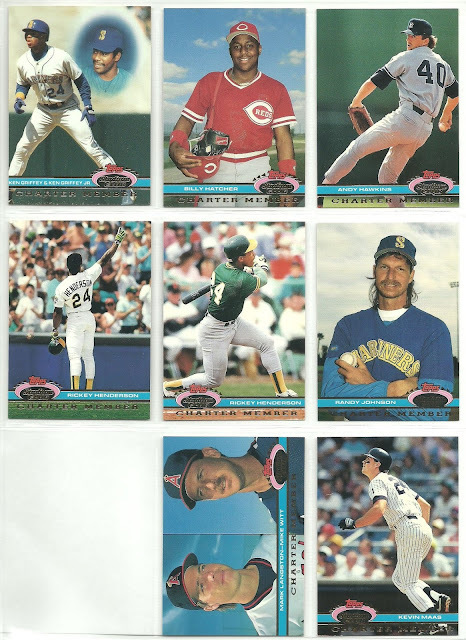 In addition to the 19 consecutive Topps factory sets from 1989 - 2007 and the 500 count vending box from 1988 Topps that I mentioned in my previous post, there as also a 1991 Upper Deck baseball factory set and a 1991 Topps Traded baseball factory. I plan to assign values to everything else from my recent Facebook Marketplace purchase to see if I can come up with the $100 purchase price. I'm going to give the 1991 Upper Deck factory set and the 1991 Topps Traded factory sets a $5 value for each of them.This is probably pretty generous, but I make the rules. So we're at $10. Not in a factory sealed box, but in pages in a binder is the 1991 Upper Deck Final set. I'm going to assign this a $5 value as well. The is a 100 card set that was only issued in factory set form. I was always under the impression that when a card only came in a factory set and could not be pulled from a pack then the if there was a rookie card in the set, it would be an XRC vs. a RC. For example, this 1991 Upper Deck Final Minor League Diamond Skills card of Pedro Martinez is the only 1991 card and the earliest card from a major manufacturer of Pedro Martinez. It's considered his RC, his only RC, but I still question why it's not an XRC. 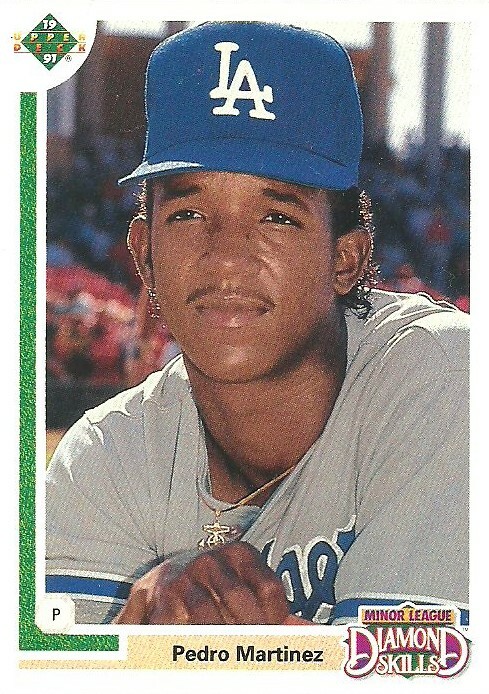 Pedro didn't spend any time in the majors until 1992 and even then he only pitched in 2 games. Since this is his RC and his only RC, I guess I'll use this for my HOF rookie card collection. Also, is it just me or does the hat appear to be photo-shopped. 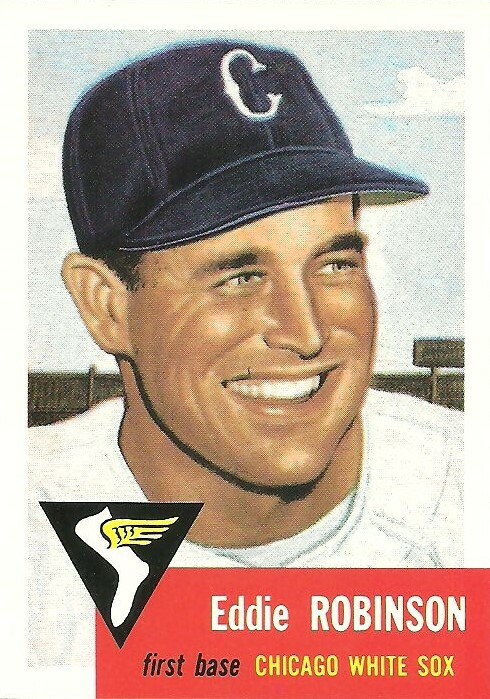 The other big XRC, I mean, RC in the set is of Jim Thome. 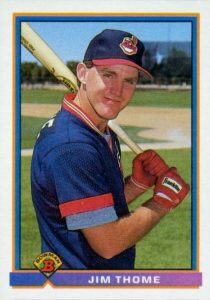 Thome only has one other RC, 1991 Bowman. I'll have to decide if I want to use this card or the Bowman card for my HOF rookie card collection. The cards are very similar, so it will be a tough choice. Let me know which you prefer. Alright, so far we're at $15, only $85 to go!